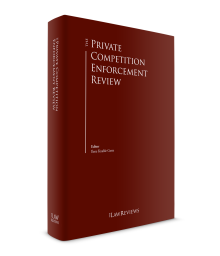 Private competition litigation can be an important complement to public enforcement in the achievement of compliance with the competition laws. Antitrust litigation has been a key component of the antitrust regime for decades in the United States. The US litigation system is highly developed, using extensive discovery, pleadings and motions, use of experts and, in a small number of matters, trials, to resolve the rights of the parties. The process imposes high litigation costs (both in terms of time and money) on all participants, but promises great rewards for prevailing plaintiffs. The usual rule that each party bears its own attorneys' fees is amended for private antitrust cases such that a prevailing plaintiff is entitled to its fees as well as treble damages. The costs and potential rewards to plaintiffs create an environment in which a large percentage of cases settle on the eve of trial. Arbitration and mediation are still rare, but not unheard of, in antitrust disputes. Congress and the US Supreme Court have attempted to curtail some of the more frivolous litigation and class actions by adopting tougher standards and ensuring that follow-on litigation exposure does not discourage wrongdoers from seeking amnesty. Although these initiatives may, on the margin, decrease the volume of private antitrust litigation in the United States, the environment remains ripe for high levels of litigation activity, particularly involving intellectual property rights and cartels. Until the last decade or so, the United States was one of the few outliers in providing an antitrust regime that encouraged private enforcement of the antitrust laws. Only Australia had been more receptive than the United States to suits being filed by a broad range of plaintiffs – including class-action representatives and indirect purchasers – and to increased access for litigants to information and materials submitted to the antitrust authorities in a cartel investigation. Brazil provided another, albeit more limited, example: it has had private litigation arise involving non-compete clauses since the beginning of the 20th century, and monopoly or market closure claims since the 1950s. In the past decade, we have seen other regimes begin to provide for private competition litigation in their courts, typically, as discussed below, only after (i.e., as a 'follow on' to) public enforcement. In some jurisdictions (e.g., Argentina, Lithuania, Mexico, Romania, Switzerland and Venezuela), however, private actions remain very rare, or non-existent (e.g., Nigeria), and there is little, if any, precedent establishing the basis for compensatory damages or discovery, much less for arbitration or mediation. In addition, other jurisdictions (e.g., Switzerland) still have very rigid requirements for standing, which limit the types of cases that can be initiated. The tide is clearly turning, however, with important legislation either recently having been adopted or currently pending in many jurisdictions throughout the world to provide a greater role for private enforcement. In Australia, for example, the government has undertaken a comprehensive review and has implemented significant changes to its private enforcement law. The most significant developments, however, are in Europe as the EU Member States implement the EU's directive on private enforcement into their national laws. The most significant areas standardised in most EU jurisdictions involve access to the competition authority's file, the tolling of the statute of limitations period and privilege. Member States continue to differ on issues relating to the evidentiary effect of an EU judgment and whether fines should be factored into damages calculations. Even without the directive, many of the Member States throughout the European Union have increased their private antitrust enforcement rights. The development of case law in jurisdictions also has an impact on the number of private enforcement cases that are brought. In China, for instance, the number of published decisions has increased and the use of private litigation is growing rapidly, particularly in cutting-edge industries such as telecommunications, the internet and standard essential patents. In Korea, private actions have been brought against an alleged oil refinery cartel, sugar cartel, school uniform cartel and credit card VAN cartel. In addition, the court awarded damages to a local confectionery company against a cartel of wheat flour companies. In contrast, in Japan, over a decade passed from the adoption of private rights legislation until a private plaintiff prevailed in an injunction case for the first time; it is also only recently that a derivative shareholder action has been filed. Moreover, in many other jurisdictions as well, there remain very limited litigated cases. For example, there have been a growing number of private antitrust class actions commenced in Canada; none of them have proceeded to a trial on the merits. The English and German courts are emerging as major venues for private enforcement actions. The Netherlands has also become a preferred jurisdiction for commencing private competition claims. Collective actions are now recognised in countries such as Sweden, Finland and Denmark. Italy also recently approved legislation allowing for collective damages actions and providing standing to sue to representative consumers and consumer associations, and France and England have taken steps to facilitate collective action or class-action legislation. In addition, in France, third-party funding of class actions is permissible and becoming more common. In China, consumer associations are likely to become more active in the future in bringing actions to serve the public interest. Differences will continue to exist from jurisdiction to jurisdiction regarding whether claimants must opt out of collective redress proposals to have their claims survive a settlement (as in the UK), or instead must opt in to share in the settlement benefits. Even in the absence of class action procedures, the trend in Europe is towards the creation and use of consumer collective redress mechanisms. For instance, the Netherlands permits claim vehicles to aggregate into one court case the claims of multiple parties. Similarly, in one recent case in Austria, several parties filed a claim by assigning it to a collective plaintiff. Some jurisdictions have not to date had any private damages awarded in antitrust cases, but changes to their competition legislation could favourably affect the bringing of private antitrust litigation seeking damages. Most jurisdictions impose a limitation period for bringing actions that commences only when the plaintiff knows of the wrongdoing and its participants; a few, however, apply shorter, more rigid time frames without a tolling period for the commencement of damages or injunctive litigation. Some jurisdictions base the statute of limitations upon the point at which a final determination of the competition authorities is rendered (e.g., India, Romania, South Africa and Austria) or from when the agency investigation commences (e.g., Hungary). In other jurisdictions such as Australia and Chile, it is not as clear when the statutory period will be tolled. In a few jurisdictions, it is only after the competition authority acts that a private action will be decided by the court. Of course, in the UK – an EU jurisdiction that has been one of the most active and private-enforcement friendly forums – it will take time to determine what impact, if any, Brexit will have. The greatest impetus for private competition cases is the follow-up litigation potential after the competition authority has discovered – and challenged – cartel activity. In India, for instance, as the competition commission becomes more active in enforcement investigations involving e-commerce and other high-technology areas, the groundwork is being laid for future private antitrust cases. The interface between leniency programmes (and cartel investigations) and private litigation is still evolving in many jurisdictions, and in some jurisdictions it remains unclear what weight to give competition agency decisions in follow-on litigation private cases and whether documents in the hands of the competition agency are discoverable (see, e.g., Sweden). Some jurisdictions seek to provide a strong incentive for utilisation of their leniency programmes by providing full immunity from private damages claims for participants. In contrast, other jurisdictions, such as the Netherlands, do not bestow any benefit or immunity in a follow-on damages action. These issues are unlikely to be completely resolved in many jurisdictions in the near term. There is one point on which there is almost universal agreement among jurisdictions: almost all have adopted an extraterritorial approach premised on effects within their borders. Canadian courts may also decline jurisdiction for a foreign defendant based on the doctrine of forum non conveniens as well as comity considerations. A few jurisdictions, such as the UK, however, are prepared to allow claims in their jurisdictions when there is a relatively limited connection, such as when only one of a large number of defendants is located there. In contrast, in South Africa, the courts will also consider spill-over effects from antitrust cartel conduct as providing a sufficient jurisdictional basis. The litigation system in each jurisdiction to some extent reflects the respective perceptions of what private rights should protect. Most of the jurisdictions view private antitrust rights as an extension of tort law (e.g., Austria, Canada, France, Israel, Japan, Korea, Norway, the Netherlands and the UK), with liability arising for participants who negligently or knowingly engage in conduct that injures another party. Turkey, while allocating liability on the basis of tort law, will in certain circumstances award treble damages as a punitive sanction. Some jurisdictions treat antitrust concerns as a defence for breaching a contract (e.g., Norway and the Netherlands); others (e.g., Australia) value the deterrent aspect of private actions to augment public enforcement, with some (e.g., Russia) focusing on the potential for unjust enrichment by the defendant. In Brazil, there is a mechanism by which a court can assess a fine to be paid by the defendant to the Fund for the Defence of Collective Rights if the court determines the amount claimed as damages is too low compared with the estimated size and gravity of the antitrust violation. Still others are concerned that private antitrust litigation might thwart public enforcement and may require what is, in essence, consent of the regulators before allowing the litigation or permitting the enforcement officials to participate in a case (e.g., in Brazil, as well in Germany, where the competition authorities may act as amicus curiae). Some jurisdictions believe that private litigation should only be available to victims of conduct that the antitrust authorities have already penalised (e.g., Chile, India, Turkey and Venezuela). Interestingly, no other jurisdiction has chosen to replicate the United States' system of routinely awarding treble damages for competition claims; instead, the overwhelming majority of jurisdictions take the position that damages awards should be compensatory rather than punitive (Canada does, however, recognise the potential for punitive damages for common law conspiracy and tort claims, as does Turkey). In Venezuela, however, the plaintiff can get unforeseen damages if the defendant has engaged in gross negligence or wilful misconduct, and in Israel, a court recently recognised the right to obtain additional damages on the basis of unjust enrichment law. Finally, in almost all jurisdictions, the prevailing party has some or all of its costs compensated by the losing party, discouraging frivolous litigation. Cultural views also clearly affect litigation models. Outside the EU and North America, the availability of group or class actions varies extensively. A growing minority of jurisdictions embrace the use of class actions, particularly following a cartel ruling by the competition authority (e.g., Israel). Some jurisdictions (e.g., Turkey) permit group actions by associations and other legal entities for injunctive (rather than damages) relief. Jurisdictions such as Germany and Korea generally do not permit representative or class actions, but instead have as a founding principle the use of courts for pursuing individual claims. In some jurisdictions (e.g., China, Korea and Switzerland), several claimants may lodge a collective suit against the same defendant if the claims are based on similar facts or a similar legal basis, or even permit courts to join similar lawsuits (e.g., Romania and Switzerland). In Japan, class actions were not available except to organisations formed to represent consumer members; however, a new class action law came into effect in 2016. In contrast, in Switzerland, consumers and consumer organisations do not currently have legal standing and cannot recuperate damages they have incurred as a result of an infringement of the Competition Act. In Poland, only entrepreneurs, not individuals, have standing to bring claims under the Unfair Competition Act, but the Group Claims Act is available if no administrative procedure has been undertaken concerning the same case. Jurisdictions that are receptive to arbitration and mediation as an alternative to litigation (e.g., Germany, Japan, Korea, the Netherlands, Switzerland and Spain) also encourage alternative dispute mechanisms in private antitrust matters. 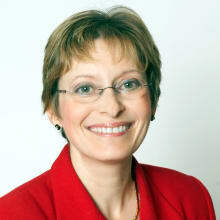 Some courts prefer the use of experts and statements to discovery (e.g., in Chile; in France, where the appointment of independent experts is common; in Japan, which does not have mandatory production or discovery except in narrowly prescribed circumstances; and in Germany, which even allows the use of statements in lieu of documents). In Korea, economic experts are mainly used for assessment of damages rather than to establish violations. In Norway, the Civil Procedure Act allows for the appointment of expert judges and advisory opinions of the EFTA Court. Other jurisdictions believe that discovery is necessary to reach the correct outcome (e.g., Canada, which provides for broad discovery, and Israel, which believes that 'laying your cards on the table' and broad discovery are important). Views towards protecting certain documents and information on privilege grounds also cut consistently across antitrust and non-antitrust grounds (e.g., no attorney–client, attorney work product or joint work product privileges in Japan; pre-existing documents are not protected in Portugal; limited recognition of privilege in Germany and Turkey; and extensive legal advice, litigation and common interest privilege in the UK and Norway), with the exception that some jurisdictions have left open the possibility of the privilege being preserved for otherwise privileged materials submitted to the antitrust authorities in cartel investigations. Interestingly, Portugal, which expressly recognises legal privilege for both external and in-house counsel, nonetheless provides for broad access to documents by the Portuguese Competition Authority. Some jurisdictions view settlement as a private matter (e.g., France, Japan and the Netherlands); others view it as subject to judicial intervention (e.g., Israel and Switzerland). The culture in some jurisdictions, such as Germany, so strongly favours settlement that judges will require parties to attend hearings, and even propose settlement terms. In Canada, the law has imposed consequences for failure to accept a reasonable offer to settle and, in some jurisdictions, a pretrial settlement conference is mandatory. As suggested above, private antitrust litigation is largely a work in progress in many parts of the world. Change occurs slowly in some jurisdictions, but clearly the direction is favourable to the recognition that private antitrust enforcement has a role to play. Many of the issues raised in this book, such as the pass-on defence and the standing of indirect purchasers, remain unresolved by the courts in many countries, and our authors have provided their views regarding how these issues are likely to be clarified. Also unresolved in some jurisdictions is the availability of information obtained by the competition authorities during a cartel investigation, both from a leniency recipient and a party convicted of the offence. Other issues, such as privilege, are subject to change both through proposed legislative changes as well as court determinations. The one constant across almost all jurisdictions is the upward trend in cartel enforcement activity, which is likely to be a continuous source for private litigation in the future.